Have been working on another baby blanket. The blanket is finished I am just waiting to hear news that the little one has arrived before posting it off. 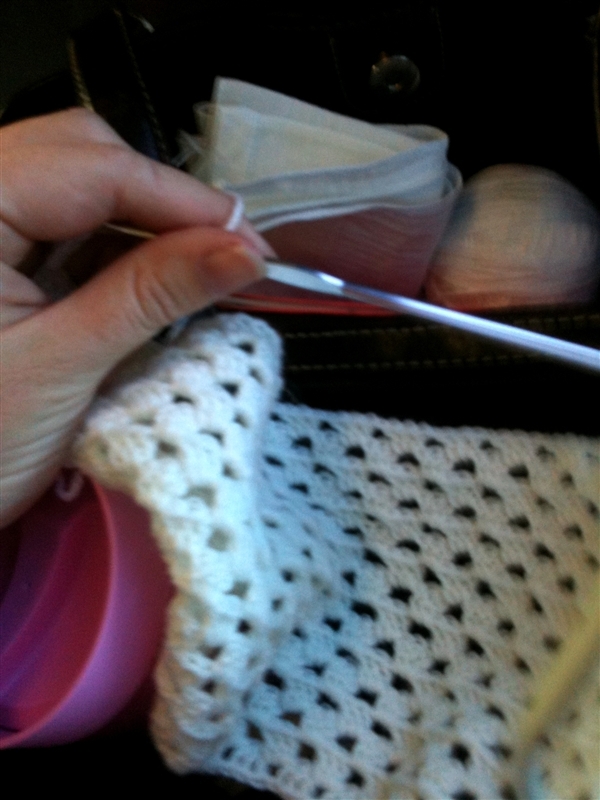 I love taking photos of my crochet projects in progress, shows a mini timeline of my life. 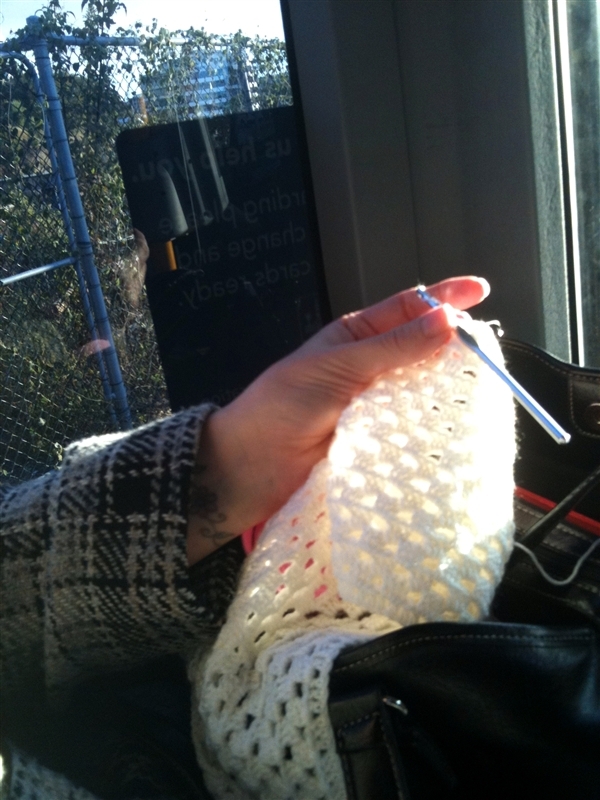 Most of this blanket was made while I when I have given up train travel and was catching the bus. Each morning I would try to sit in the front seat so I could catch the sun. My handbag would be balanced on my lap. 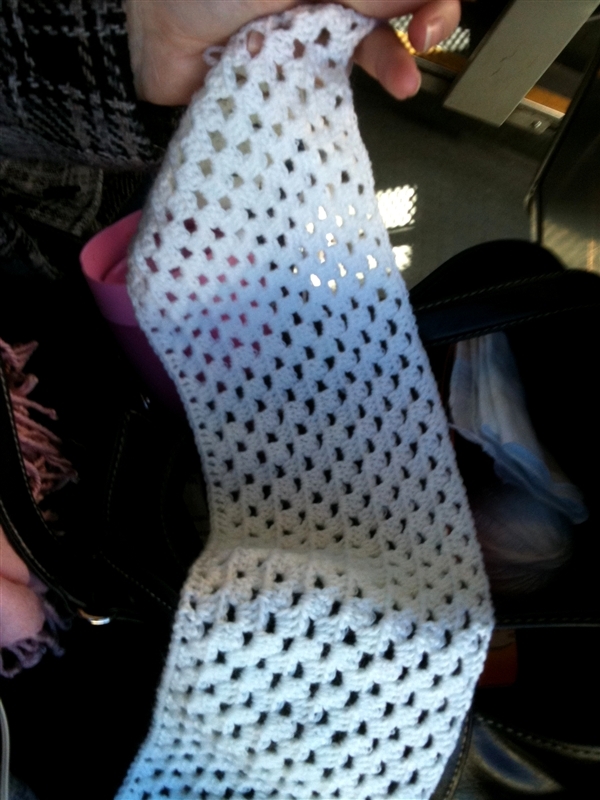 My handbag has the usual women contents with addition of wool, small sissors, crochet hook and my latest crochet project. Each stitch has a story to tell about the music I was listening to, the conversations I had with fellow passengers and my joy at creating something unique for a soon to be born baby. In the beginning I had a dreadful cold, my left shoulder was all banged up and the kiddies were away. I have not spare time and yet I still found a way to induge in crochet. 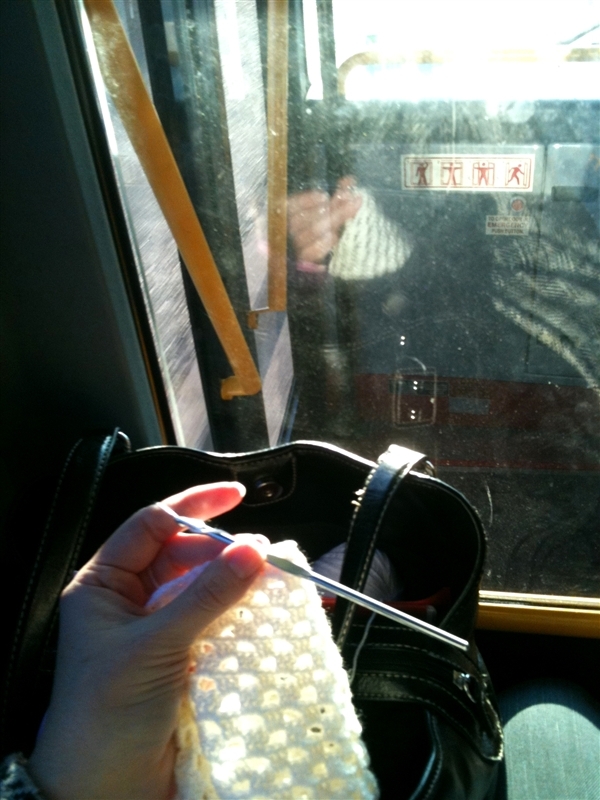 There is always a small amount of sadness when you give away a crochet project. Each project represents your skill, love of creating and commitment to see a project through to the end. My new pink tupperware coffee mug is my constant companion and due to its screw tight lid. My love of my tupperware mug was documented here and I wasn’t sure about the new and improved version and only brought it just in case my old one gave up the ghost. Each morning I prepare a cup of tea in my mug because it holds the heat for an hour or more. Most mornings I am busy getting to small children ready for school and it can take me an hour to drink a whole cup of tea and the mug keeps in warm for me, especially on cold morning. Now I have 3 mugs that I prepare each morning as my children have come to share my love of a rooibos tea. Will post a picture of the finished project once it has been received by its new owner.